Floor protection is very important in the rear of the Wrangler JL to keep the original carpeting in great shape. 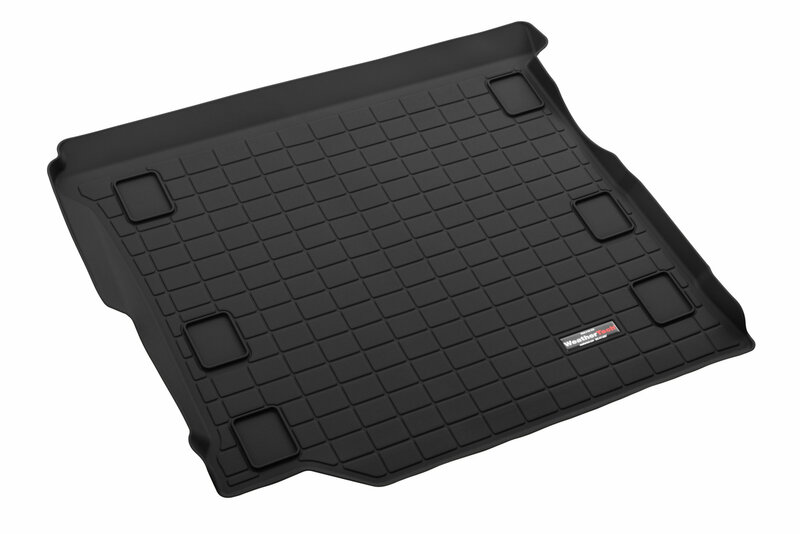 The Rear Cargo Liner from Weathertech has been designed to keep the rear cargo area protected from trail debris, mud, water or from any gear that may be stowed while on an off road trip. 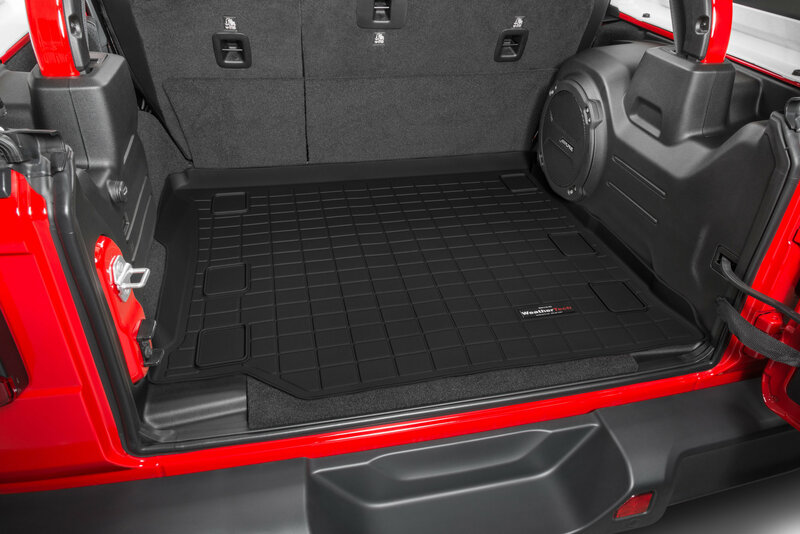 This cargo liner is digitally crafted specifically for the Wrangler JL Unlimited vehicle and fits perfectly with no modification to the Jeep. Manufactured from a special heavy duty blended TPE material that is water resistant and will remain flexible under extreme temperatures with out losing its shape. The textured finish is attractive, and will help to keep the liner from moving out of place. Options are available for vehicles with the factory sub-woofer, or without the sub-woofer. 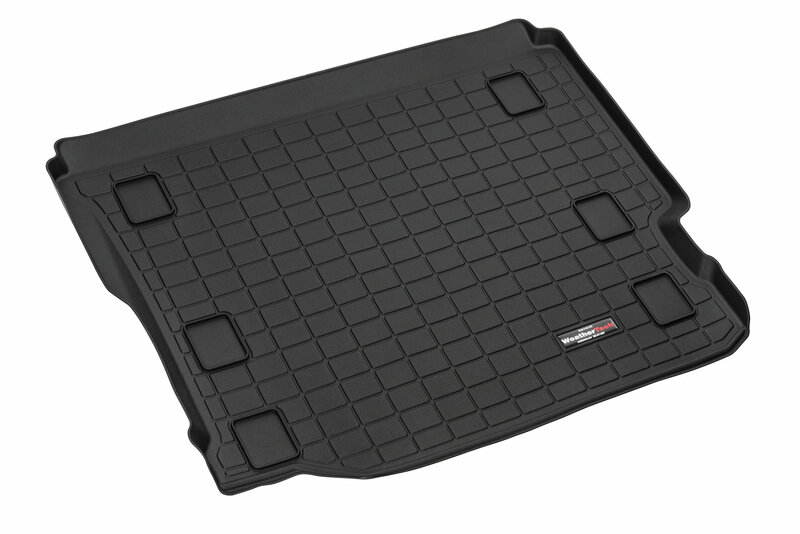 Weathertech Cargo Liners are designed and manufactured in the USA! Protect and Preserve: Once installed, the Rear Cargo Liner will protect the original interior from and damage by mud, water or even the family pet while out on any Jeeping adventure. Easily hose them off for quick cleanup! High Quality: Weathertech Cargo Liners are digitally designed for the Wrangler JL for a perfect and precise fit. Durable custom blended TPE material will protect under any temperatures. Easy Installation:The Rear Cargo Liner installs easily to the rear of the vehicle in minutes. No special tools or modifications are required. Truly a plug and play install.